You probably don’t remember the moment you decided to see if you could push up on your legs and stand up properly. Grownups that are lucky enough to witness children taking their first steps often cherish the memory of that key stage in their son’s or daughter’s development. For the kids, of course, it’s just another day. And it’s not that easy! 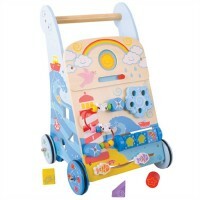 What you need is something like a Bigjigs baby walker which will help you get your balance when you take those first faltering steps. 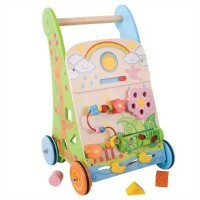 Even better if it’s bright and colourful and has lots of different things to do. Or if it’s filled with wooden blocks that we can use to build towers and buildings which can be knocked over time and time again. 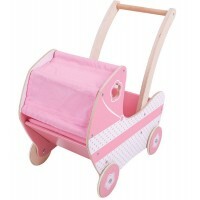 You can also use these walkers to ferry your toys around the house, so all in all, we love these walkers, don’t you?